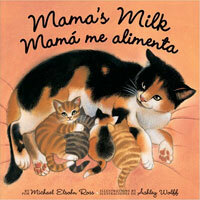 NEW BOOKS: Mama's Milk || Baby Bear Isn't Hungry || What's The Matter in Mr. Whisker's Room? Snug As A Bug || Salvador Dali || What's the Matter In Mr. Whisker's Head? •Scientists believe that mosses, the first land plants, may have changed the Earth's climate from hot to cold by removing carbon dioxide from the atmosphere? •Many members of the cabbage family release a poison "mustard" gas to fend off grazers? •Plants are used in thousands of industries, from low-cost sewage treatment to new medical cures? Young nature enthusiasts will learn these and other fascinating facts about plants in this colorful, interactive guide. Plantology contains fun, kid-friendly introductions to plant subjects and activities to explore many of them—from seeds, roots, and sprouts to plant skeletons, leaves, petals, and fruits. It then goes beyond the basics to delve into the unknown world of common weeds, fascinating plant defense systems, and the countless roles plants play in our lives. With encouragement to "Try This," "Smell It," and "Look For," kids participate in 30 hands-on activities following the S.T.E.M. approach to teaching by promoting observation and analysis techniques and using writing and drawing, math and science, and nature literacy skills. Children will keep a journal, examine and sketch plant structures, start a seed collection, make tasty vegetarian dishes, and more. Readers from any environment will start to notice the plants around them—not just in parks, gardens, and woods but also surrounding school grounds, landscaped spaces around buildings, and sidewalk cracks and vacant lots, as well as their own backyards. Useful resources include a glossary of scientific terms, a list of nature organizations and groups, and a teacher's guide to initiate classroom discussion and investigation. 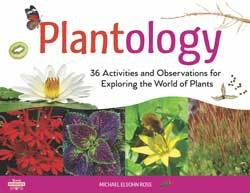 Budding botanists and curious collectors alike will adore Plantology: 30 Activities and Observations for Exploring the World of Plants by science educator and author Michael Elsohn Ross. From plant skeletons to prop roots and all the mosses in between, this super cool book will have your kids looking at the natural world in a whole new way. "Plantology" is filled with innovative ways to observe and enjoy the fantastic variety of plants to be enjoyed in natural settings. "Plantology" is completed with a list of plant terms (glossary), list of resources, Teacher's Guide, and Selected Bibliography. "Plantology" helps young naturalists compile the amazing interdependence of people, animals, and plants, in a positive, educational, and inspirational book. This far-ranging collection of brief biographies, part of the Women of Action series, introduces 16 female social and political activists from the 19th century onward. The featured women include Rigoberta Menchu Tum, who fought the genocide of indigenous Guatemalans during that country’s civil war (1960–1996); Sampat Pal Devi, who opened a sewing school in her Indian village and formed the “Gulabi Gang” of empowered women in 2006; and Megan Grassell, a contemporary teenager who founded Yellowberry, a company that makes “young, cute, and realistic bras for girls,” as an alternative to sexualized undergarments. Ross portrays his subjects with honesty, highlighting both their missteps and accomplishments, while emphasizing how anyone can become an activist with enough passion and will. Ages 12–up. The latest in this series profiles 16 women from across the globe who have fought for human rights. Suffering personal injury, imprisonment, and a multitude of hardships, these women never gave up their goals. Divided into three parts-"Claiming Rights and Respect," "Rising Up Against Greed," and "Rejecting Violence"-this well-written and solidly researched book profiles a varied selection of women from the late 1800s through the present day, including Margaret Sanger, who fought for women's reproductive rights; Malala Yousafzai, the Pakistani teenager who won the 2014 Nobel Peace Prize for speaking out for women's education; Mary Harris "Mother" Jones, who advocated on behalf of unions; Kalpona Akter, who brought increased awareness to conditions in overseas textile factories; Ida B. Wells, who used the power of her pen to bring attention to the horrors of lynching; and Buffy Sainte-Marie, a Native American known for her social activism and songwriting. Each chapter begins with a quote from the woman profiled and includes several photographs. VERDICT- An excellent compilation and a notable addition for all library collections to enhance women's history. Gr 7-10. Chicago Review Press; 224 pages; $19.95. ISBN 9781613744383. LC 2013024947. In Michael’s newest book A World of Her Own, readers will meet 24 fascinating women from the 1800s through current times who have lived lives of exploration and adventure. Regardless of the era in which they lived, their culture, race, and economic background all overcame obstacles to follow their curiosity and passion, while also striving to protect nature and other cultures in some of the planet’s most remote places. Readers will meet women who endure everything from deadly storms, leeches, days on end without a bath, and questionable cuisine in the pursuit of discovery. Among them are Eleanor Creesy, who lived a life at sea as a ship’s navigator in the 1800s; Kate Jackson, an insatiable investigator of venomous snakes in the Congo; wildlife biologist Aparajita Datta who seeks protection for wildlife and indigenous cultures in one of the last wild landscapes in India, and Constanza Ceruti, the world’s only female high-elevation archeologist, who carries out important excavations on some of the Earth’s highest peaks. These and 20 other remarkable women are introduced through profiles informed by not only historical research, but also original interviews with many intriguing modern explorers who provide inspiration to any today’s young women with an itch for adventure and exploration. Gr 7-10–"This addition certainly lives up to its series name. Naturalist and author Ross tells the stories of different women who stepped outside their comfort zones, overcame hardships, and earned advanced degrees all in order to explore nature, seek adventure, and find personal fulfillment. Divided into four parts—“Called by Mountains,” “Seeking Nature,” “Exploring the World’s Water,” and “Long Trek”—the book profiles women such as Sophia Danenberg, who summited Everest in 2006; Constanza Ceruti, who climbs mountains to visit high-elevation archaeological sites; Ynes Mexia, who traversed South America in the 1930s; and homemaker and mother Helga Estby, who with her daughter Clara walked across America in 1896. These are fascinating, well-told stories, sure to intrigue readers. Photographs are scattered throughout the text. A solid collection of inspiring individuals." "Many school-age kids have had at least a fleeting introduction to our heroine of the day. But what about Kay Cottee (she was the first woman sailor to circumnavigate the globe, solo); or Kira Salak (a National Geographic writer who has traveled alone in some of the world’s most remote places); or 19th century mountaineer extraordinaire, Annie Smith Peck? The 24 amazing women profiled in this book deserve greater recognition than they’ve received, and there’s sure to be at least one who will inspire the most timid of children." "This thoughtful chronicle of 24 daring women adventurers, from the early 1800s to the present, will inspire the girls of today to overcome obstacles and live curiously and passionately. From pioneering the far North and pursuing large mammals to journeying up the Nile, women have been risking life and limb for discoveries for hundreds of years. It wasn't until much later, however, that they were recognized for their bravery. Profiled here are Rosaly Lopes, who discovered 71 volcanoes on Io, one of Jupiter's moons; Helen Thayer, the first women to walk and ski the magnetic North Pole with only her dog; and Kay Cottee, the first woman to sail nonstop around the world completely unassisted. Girls ages 11 and older, especially those interested in the fields of science, technology, engineering or math, will find this clearly penned book inspirational. In fact, all girls will enjoy these amazing true tales, especially if they love nature, animals, the environment and physical challenges." "Exploring for Centuries: We tend to associate explorers with men exclusively. 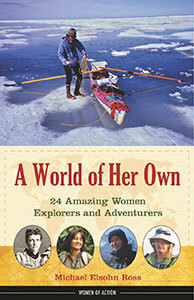 However, A World of Her Own shows us that women too have taken great risks to discover and explore the wilderness. In fact, we learn that women have been exploring for centuries, but it wasn’t until recent years that they have been given credit for what they’ve accomplished. Why You Should Buy This Book: As I write this review, my daughter and only child, is getting ready to graduate from The University of Pennsylvania with an undergraduate degree in Geology. For the past two months,, she has been visiting graduate schools around the country and will soon choose where she will begin her PhD studies in geophysics. As a child, she loved to read about scientists, adventurers and explorers. It was her exposure to these biographies, combined with her time exploring the great outdoors with our family and the support and belief that she could excel at math that led her down a path to science. Last summer she participated in NASA’s Student Airborne Research Program. The women featured in A World of Her of Her Own inspire young readers by introducing them to numerous possible careers they never knew existed before. The women in the book were pioneers of discovery, way ahead of their time; they took many risks to follow their passions even when society sometimes did not recognize or support their efforts. This book shows readers that a S.T.E.M education can lead to a most satisfying career, one that may even land them in a history book. 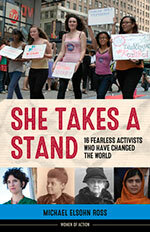 I only wish the Women of Action Series by Chicago Review Press was around when my daughter was growing up." Yosemite National Park is full of wonder-- so is this book. Ever wonder which Yosemite plant smells like stinky feet? Or why certain species of Yosemite cricket will die if you hold them in your hand? Did you know that toads and squirrels are roommates in Yosemite? and some kid named Elmer played in the park’s history. You’ll learn about the park’s tallest cliffs, highest waterfalls, largest trees, record climbs, famous people, great events and more! Hundreds of lively questions and answers will keep you entertained wherever you go. 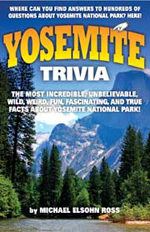 This book is the fun-tastic way to learn about Yosemite National Park. Tumbling, chasing, splashing in the mud, or helping with chores--just about any activity is fun for a little one. And all kinds of mommies and daddies know that playing helps their children grow healthy and strong. 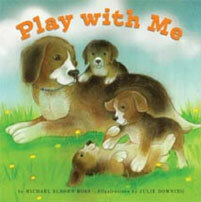 Rambunctious rhymes and bold illustrations of young animals and children show the joys of play, every way, all day! When it's time to nurse, it is only natural for babies to cuddle up to their mamas. And mammal mamas know that mama's milk is best for baby. Tender illustrations and a soothing bedtime rhyme celebrate breastfeeding and the bonding that is so important to little ones--and bigger ones, too. "Can I just say that this is a book that I will buy for any breastfeeding mom that I know is pregnant with a second, third, fourth, etc... child? It's that good. 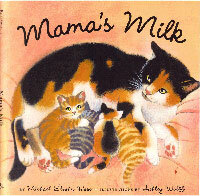 The book features one line of rhyme per page to tell the story of all the ways that moms love their breastfeeding babies. It shows babies nursing while mom sleeps, babies nursing in the park, a foal nursing in a field, a coyote nursing her young, even a shot of both a dolphin and a whale nursing their offspring while swimming in the ocean. The pictures are beautifully painted water colors and the back of the book features a great little collection of all the images with interesting facts about the animals. (Kangaroo milk is pink, elephants nurse for 2 to 4 years, etc...) While the pages are paper, it is a hardback book which helps make it a little more sturdy. Elnora often asks for this book when I'm putting her to bed and she loves to point out the nursing babies, the moms and all of the animals. She especially love the image of the nursing piglets and the nursing foal on the farm and it's been a real joy to be able to share a book with her that shows great images of animals (and babies) nursing in their natural environments". PreS-Gr 1-"From humans to a variety of aquatic and land animals, Ross's rhyming text describes the different ways that mothers nurse their babies. Presented across spreads or on single pages framed by white borders, the pastel-infused watercolor illustrations tastefully depict the nursing pairs. Each species is identified along with the proper nomenclature for its offspring (monkey and infant, bat and pup, whale and calf). Short factual statements about the highlighted animals are appended-kangaroos have pink milk; elephant calves nurse for two to five years; bear cubs drink from hibernating mothers; human milk helps protect babies from disease. This cozy offering will be welcomed by parents who want to share the joy and naturalness of breastfeeding with their children". "There's nothing more natural than a baby nursing from its mother, and this theme serves as the inspiration for a moving tale that celebrates the miracle of breastfeeding. Ross' story is simplistic in tone, comprised of short, rhyming verse that introduces readers to the many animals that share this form of nourishment with humans. ("Mama's going to nurse you high up in a tree. Mama's going to nurse you down low by her knees.") The text's gentle rhythm and softly rendered images aptly capture the quietness of a nursing babe, content to suckle amidst a bustling world. One of these more fitting spreads features a mother breastfeeding at a park as another picnics nearby, while on the facing page, another woman spoon-feeds a toddler seated in a stroller, children happily swinging and sliding in the foreground. The various images of animals and their babes-identification of their different names peppered throughout-are especially cozy. No matter the varying styles of feeding, one common denominator exists: a mother's milk sustains and nurtures her child. A final spread explains how long various animals nurse, as well as the benefits of breastfeeding. An ode to all things maternal." Baby Bear is a very curious cub. Mama bear eats and eats after sleeping all winter, but Baby Bear is having too much fun exploring and playing to want a meal. What will Baby Bear discover? Will she ever be hungry? 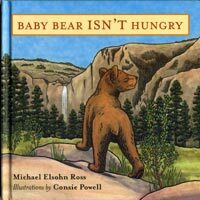 Consie Powell’s charming artwork illustrates this sweet story of a new cub in Yosemite National Park. Mr. Whiskers, the teacher, has that wild look in his eye again. That's the look that means, Get ready for hands-on science fun and some BIG IDEAS! This time the subject matter is . . . matter. Using seven science stations, Mr. Whiskers encourages the kids in his class to use all their senses to make observations and draw conclusions. Martin, Cory, and Miguel are dabbling with water at one science station, while Larry and Ashley are up to their elbows in gloop at another. Ice blocks, rocks, and mud offer more chances to have fun and learn too! Everyone's a scientist in Mr. Whiskers' class, where hands-on mini-experiments lead to Big Ideas -- and promote an ongoing passion for independent, open-ended discovery. What¹s the Big Idea? Kids figure it out for themselves by taking matter into their own hands in a series of fun explorations that make science discoveries as simple as child's play. From goodnight kisses, the simple cozy text celebrates the special bedtime rituals that are so beloved by both parent and child. The spectacular paintingsoverflowing with the detail that has become the hallmark of Sylvia Longs best-selling booksbring the magical world brilliantly to life. 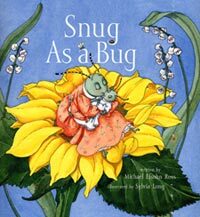 With its colorful butterflies, cozy caterpillars and dreamy ladybugsall in their cutest pajamasthis is a book that readers will want to snuggle up with again and again. Grade 6 and Up"This visually stunning work enhances the body of material on the artist and his contemporaries. Eminently readable, the crisply written text is detailed and thorough, including pronunciations of many place and personal names. Dalí's life is presented familiarly, drawing in many details of life as an artist during that period in Europe and the relationships among the surrealists. No actual dialogue is included, but conclusions are drawn about Dalí's thoughts from historical evidence. Sidebars cover other artists (Miró, Eluard, Picasso), styles (Cubism, Abstract Expressionism, Pop Art), and elements of history (the Spanish Civil War, Fascism and Franco, Communism). 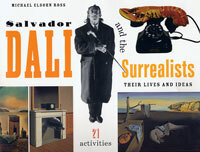 The attractive layout includes numerous excellent-quality reproductions of the work of Dalí and many of the other artists mentioned in the text, and period photographs. Of particular interest here are the 21 activities that will engage budding artists and encourage them to think and to look at familiar objects in a different way. Requiring no unusual supplies, they might be used by classroom teachers as well. There are rich potentials for jumps from here to history and the "'20s in Europe" art era. A valuable addition to any collection." What’s the Matter in Mr. Whiskers' Head? My Christmas surprise in 2004 was hearing the news from my physician, Dr. Gallery, that I had a brain tumor. Just before Christmas I had a very bad, bad, headache. Dr. Gallery suggested I have my head examined using a fancy x-ray like machine called an MRI. The test showed I had a tumor that was pushing down on my brain. It had to go and was removed on January 5th by a team of surgeons at Stanford Hospital. Beside the surgery, I also got a haircut that made me look like Bozo the Clown. A week after I got back to the mountains, I found a gift on my porch. It was a book called What’s the Matter in Mr. Whisker’s Head? It’s so good I laughed and I cried and I decided to put it on my website for all of you to read. It showed me once again that kids are very smart and sometimes with just a little bit of help from adults can do really great things. They had a lot of fun writing the book. It was a lot more fun than doing a test or worksheet. And they learned a whole lot more, too. I’m sure you can see that! 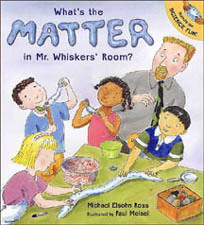 Sandbox Scientists, and my newest book, What’s the Matter in Mr. Whisker’s Room? The teacher in the book is sort of like me and acts a lot like Mrs. Bown. As for the kids, they remind me of some kids who went to the El Portal School. That’s because I created characters that behave and think like the many students I’ve had fun being around at the school during the last 30 years. Once again this morning you brought magic into the classroom- though of course you did not know it. I planned to have the kids simply make you “get well” cards. I explained that Michael (AKA “Mr. Whiskers) had an operation to remove something that didn’t belong in his brain. Before I knew it, they began to create ideas about what might have been in there and what it might make you do. As I heard ideas, I realized that you needed to hear them too. If anyone would appreciate a crazy kid story about their brain tumor, it would be you. Every student passionately engaged in the following story, while I typed on the computer. I gave it structure, but every idea and event came directly from them. It showed me how much “Mr. Whiskers” had inspired them. Even though they haven’t spent a great deal of time with you, they know that Mr. Whiskers was in the neighborhood and is a friend. I also believe that the years of your love for the children of El Portal permeates the place. I hope you’ll feel it in this story, as well as get a big smile on your face from the creativity you’ve inspired. What's the Matter in Mr. Whiskers' Head?